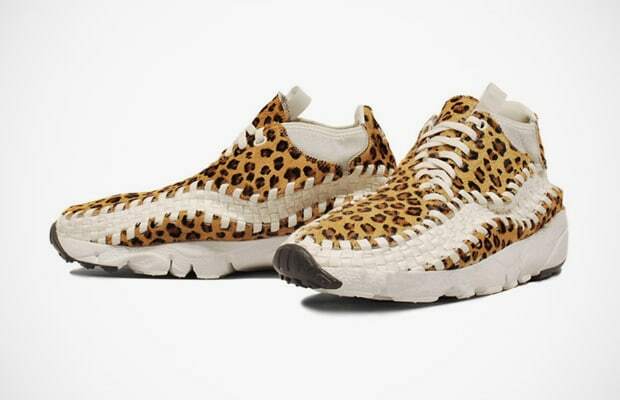 Nike Sportswear Footscape Woven "Leopard"
Yesterday we showed you Nike Sportswear Footscape Woven "Zebra," today we show you the "Leopard" version. Much like the zebra version, the upper features the distinct spotted pattern of a leopard with a contrasting white asymmetrical woven styling along the side panels. Available through select Nike Sportswear retailers including atmos.